Our inflation calculator is here to show you that inflation affects your purchasing power over time. One dollar today buys less goods and services that it bought 10 years ago, which means that investors have to take inflation into account when they invest for the long term. This is especially true for retirement account holders. One of the most basic tools that investors use to ward off the deleterious effects of inflation are Real Return Bonds, more commonly called RRBs. 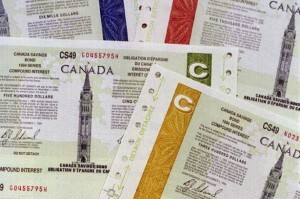 These are bonds issued by the Government of Canada and guarantee a rate of return that is adjusted with inflation. Unlike other nominal bonds, RRBs guarantee that your purchasing power is maintained regardless of the future CPI and inflation rates. Keep in mind that RRBs are only protected against inflation eating away at the principle of the investment. This is achieved by indexing the value of the bond to the CPI and adjusting it each year to account for inflation. There is no mechanism in place to adjust the rate of return, and for that reason this is seen as a very conservative approach to guarding against inflation. Inflation has a tendency to ripple through the economy, driving up the prices of many different products in a short period of time. Many investors tend to move about 5 percent of their portfolios into commodities during inflationary periods in order to capture value from this upward movement. Commodities are dividided into two types: soft and hard commodities. Soft commodities include agricultural products such as wheat, coffee, cocoa and sugar. Hard commodities are mined, such as gold, platinum, silver, palladium and oil. 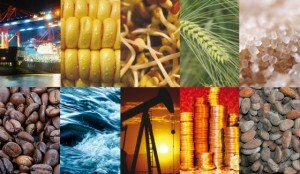 Investors have access to about 50 major commodity markets worldwide. 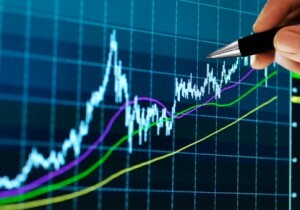 It is wise, however, to limit your exposure to this asset class, since commodities prices tend to be volatile. First, like any commodity, the price of precious metals tends to at least keep pace with inflation. Second, because precious metals are increasingly useful in industrial applications, such as the use of gold in electronics and smartphones or palladium in catalytic converters for anti-pollution systems in vehicles. Therefore Precious Metals tend to be in high demand during times of greater economic growth. Third, the market responds psychologically as a collective to inflation fears by getting out of cash, and that means that demand for precious metals typically goes up during inflationary and recession-prone periods. Those three factors tend to interact dynamically, and they can drive up precious metals prices significantly. An investor can take a position in physical precious metals (also known as bullion) in order to participate in that market. There is also value in purchasing stock in mining companies that are likely to benefit from a commodities run-up. Also, you can invest in indexes that are tied to precious metals prices. 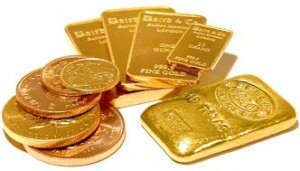 A good way for Canadians to invest in gold and other metals is through their RRSP account. Since 2005, the CRA has laid out a set of rules that allow Canadians to invest in physical bullion coins and bars through their retirement accounts. PS: watch this video where Kevin O’Leary explains why he likes to keep 5% of his net worth in gold at all times, regardless of the economic landscape. Many celebrity investors, such as John Paulson, Warren Buffett, Jim Rogers and Carlos Slim share this philosophy. 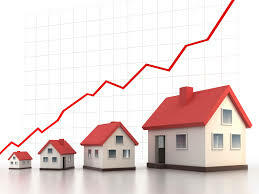 Real estate investment trusts are designed to move large amounts of money into a acquiring diverse range of real properties that can be rented out and generate recurring long term income that way. Investors are not limited to the Canadian Real Estate market only. In fact, Many Canadians have been using their RRSP account to invest in US real estate investment funds since the US market crash in 2008. Increasingly, REITs are placing more faith in things like rental properties, where in the past they were more focused on residential and commercial real estate. Because they’re more diversified than a standard portfolio of real estate that a typical investor might own, they tend to be more stable in the face of potential economic shocks. They are, however, prone to being run up and then let down by real estate investment bubbles. If inflation is a problem in Canada, the most logical solution may be to simply invest overseas. Emerging markets tend to grow at a pace that exceeds Canadian or U.S. inflation, but they’re also prone to booms and busts. 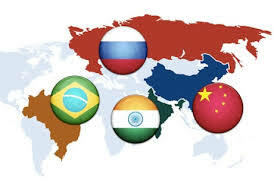 Likewise, there are often concerns about how honest and open emerging markets can be, such as the recent issues with the stock markets in China. Some emerging markets tend to be better than others, and a lot of investors are looking to places like Brazil and Africa for opportunities in areas that haven’t been fully exploited yet. As inflation goes up, the amount of money people expect to pay for most stocks also tends to go up. This is especially true over the long-run for “boring”, dividend-yielding stocks. Investors should look for companies that handle goods that are always in-demand. The upside to this type of investment is that it often does a good job of straddling the transition from inflationary periods to deflationary periods, as dividend-yielding stocks in high-demand sectors tend to perform at a fairly steady pace in most types of economies. However, it is important to be careful when investing in stocks if you want to weather away the effects of inflation as stocks are completely bound to the dollar. The weaker the dollar, the more volatile the stocks. As with any type of investments, it’s a good idea to research these options thoroughly before committing to them. It’s also wise to look at several options and consider using a diversified approach. For example, a mixture of several commodities, some real estate and stocks is likely to hold up better over the long-run than just going heavy into gold. With a little forethought, it is possible to do a better job of protecting the value of your investments against the rising tide of inflation. 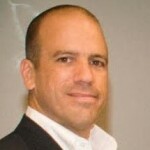 John has been writing for various financial magazines for the last two decades. He specializes in the Canadian economy and retirement planning.